By the time the newsletter is out – the 2016 Klamath Management Zone (KMZ) ocean salmon season will be about wrapped up. In spite of good ocean conditions this summer, there were fewer salmon around and I can attest that other than for a few weeks in May, there were essentially no salmon to be had off Crescent City all summer. I would like to briefly discuss ocean conditions and some of the ways it affects salmon survival. Ocean productivity is an essential cog in the complex life cycle of Pacific salmon. While a warm ocean may bring albacore and other more exotic pelagic fish closer to our shores, it also has a deleterious effect on salmon. Warmer than average ocean temperatures disrupt ocean productivity primarily by impacting the food chain and altering the abundance and diversity of important forage species. Many species of tiny plants and animals form the foundation of ocean productivity including the lowly copepod. Like crabs, copepods are crustaceans, nearly microscopic and drift in the ocean currents. Copepods also provide a critical food source for young salmon. Copepods are planktonic (technically zooplankton) which means that they drift with the ocean currents. By determining what species of copepods are present, scientists can determine the type and source of ocean water in and around the coastal zone of northern California and southern Oregon. For example, the presence of subtropical species off northern California indicates transport of subtropical water into the California Current from the south. Likewise, the presence of subarctic species indicates transport of coastal, subarctic waters from the north. 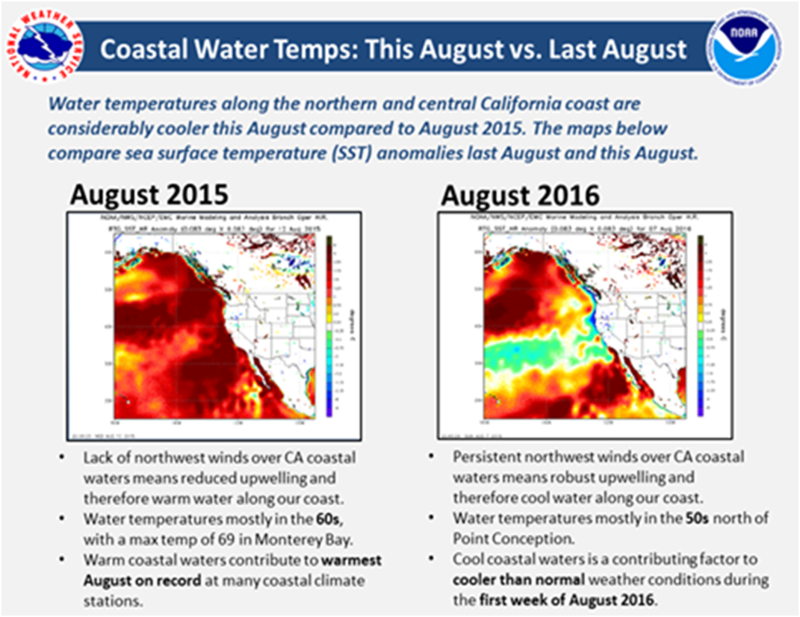 We recently went through an El Nino cycle and have also experienced the effects of the “warm blob” in the eastern Pacific. Our offshore waters have been much warmer than normal and this has been deleterious to salmon. How? By affecting the food chain and particularly the type and abundance of key species of copepods. Copepods are a very important forage species for young salmon – particularly during the first critical months as they enter the marine environment. Scientists are beginning to understand that there’s a clear correlation between species type and diversity of copepods and salmon survival. As your HASA Salmon Representatives, Jim Yarnall and I have been involved in all things salmon including learning about the influence of changing ocean conditions and copepod abundance on salmon survival. 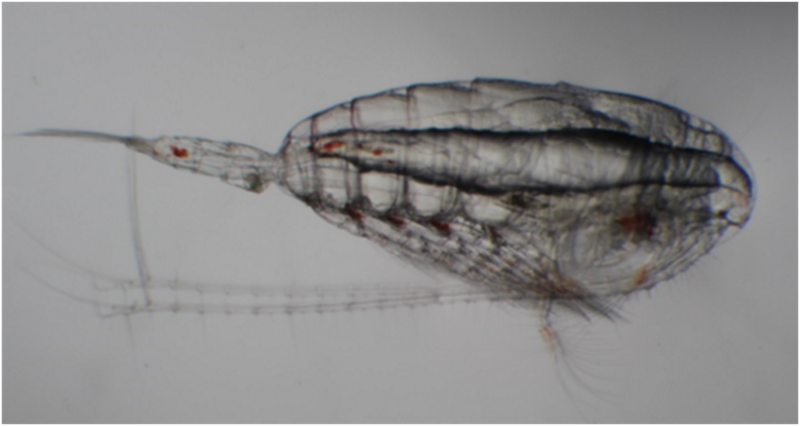 It is now a known fact that there is better ocean salmon survival when the larger, lipid rich, subarctic copepods are available. Conversely, there just isn’t much in the way of nutrition available in the sub-tropical species which have been present offshore during the most recent El Nino and warm blob events. Jim and I heard it compared this way: If the subarctic copepods are available – young salmon are feasting on a diet of “cheeseburgers” and this improves salmon growth and survival. A diet of subtropical copepods is more like eating “celery” – and the odds of that young salmon become an adult are greatly diminished. The good news is that nearshore ocean conditions have improved and SST’s off our coast have returned to some semblance of normal. As I trolled the water off Crescent City in a futile attempt to find salmon during the last few days of the August window, I observed a tremendous amount of bait in the water column. Some of the black rockfish I hooked on the troll were stuffed with krill. This is one indicator that perhaps ocean conditions are beginning to return to “normal”. The National Weather Service Graphic below illustrates the difference that one year makes. It does take time for ecosystems to recover and the nearshore ocean ecosystem is no exception. In the interim, I think we should all prepare for another lean forecast for returning Klamath fall Chinook salmon spawners. Salmon populations are cyclic and the prolonged effects of a drought combined with poor ocean conditions will take some time to recover from. While the ocean is vast, there’s also a delicate balance between sea surface temperatures, climate change, productivity, species diversity and species abundance. Let’s hope there will be lots of cheeseburgers floating around for young salmon to grow fat on!